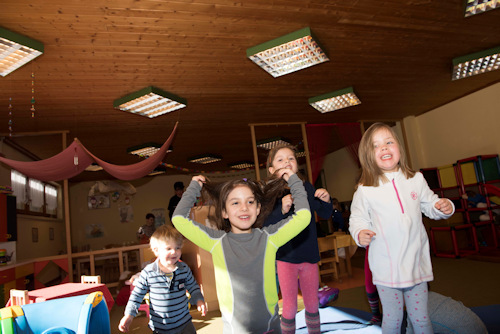 The bambini course is specially designed for our youngest guests (age 3-4) with no prior skiing experience. Our team uses fun and games to teach the little ones about the love of skiing. With intensive and personal support in small groups (max. 6 people), fun and success are guaranteed. The Noviclub is for all children (from the age of 1.5 years) who cannot or do not yet want to ski. Here they can play, draw, paint, enjoy arts and crafts and a lot more, all under professional supervision.